Coming up with fresh, valuable content on a frequency can be a challenge. And the content we do produce – such as blog posts, e-newsletters and social media updates — is usually only utilized once, and for a short time. This is a waste of good information. But you can make the most of that valuable content you worked so hard to create. You can do this when you repurpose your content. What Does “Repurpose Your Content” Mean? When you repurpose your content, you take the main idea of the content you have already created, change it slightly, and produce a new work. One piece of content can’t possibly reach all people when it’s produced one way for one target audience. Repurposing your content allows you to fully utilize your work, produce more with less research, and make your content generating efforts more productive. By changing the size, format and medium, you’ll be able to reach a new and different audience. The more mediums you are able to utilize, the more value you will be able to create. Elaborate on the details of a blog. Add graphics to it and transform it into an ebook or white paper that your audience can download as a PDF file. Summarize the major points of a blog into a short list, add images and create an infographic. Rework the major points of an article into a question-answer format. Post as a frequently asked questions page on your website. Turn an article made up of a numbered list into a series of individual posts/tips on social media. Convert your e-newsletter into a slide show; post on Slide Share. Shorten your content, lengthen it, change your target audience or select a new medium. These are all powerful ways to keep fresh, valuable content in front of a larger group of potential customers. The Three Musketeers, The Three Tenors, The Three Stooges. Many successful and famous things have come in three’s. And the same holds true for your business. Three parts of your business form the perfect partnership. They are the perfect trio, supporting each other, complimenting each other, and together form a powerful marketing foundation. They are your website, your blog, and your social media presence. Independently, they are important. Together they produce results. Your website is the online heart and soul of your business. It’s where you ultimately want your customers to end up, to learn more about you, your products or services, and how to contact you. Through your website’s content and customer testimonials, you build trust and credibility. Your website is where conversion takes place. It’s where your customers will make their buying decision, purchase your products, or hire you for a service. The ultimate goal of all of your marketing efforts is to lead your customers to your website. Your blog is composed of articles on your website that provide value to your customers. They are articles that contain helpful information that solves a problem, answers a question, or provides advice for your customers. Blogs help build credibility and trust, because by providing this information, you become known as an expert and trusted professional in your industry. Social media offers a great opportunity to connect and engage with your current and potential customers. By joining them on the social media platform they are on, you can provide tips, information and links to resources your customers will find helpful. Those resources should include your blog articles. Blogs improve website rankings. Search engines favor websites that publish fresh, updated content on a regular basis. By writing blogs for your website, you are improving your search engine rankings. Blogs lead customers to your website. Informative, well-written blogs containing information and words your customers are searching for will rank well in search engines. These blogs lead customers right to your website. While they are there, they may visit other pages or read other articles that are of interest to them. This helps with traffic to your website, and allows your reader to learn more about you and what you do. Use social media to promote your blogs. Links to your blogs make excellent social media content, because your articles are helpful, and readers that are interested in the topic will want to learn more. When your potential customers click on the link to your blog, they are taken to your website to read the article. Include social media share buttons on every blog article on your website. If your visitor likes the article and finds it helpful, he or she may share the article with their social media network, improving your exposure. Add social media follow buttons on each page of your website. This provides a quick and easy way for your visitors to follow or like you on your social media profiles. 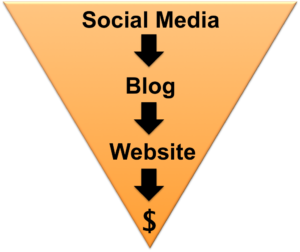 Your website, blog and social media trio are a continuous, overlapping relationship. Make the most of your marketing efforts by connecting them. This will give you the opportunity to earn your visitors’ trust, and ultimately convert them into long-term, loyal customers. If you’d like more information about how this perfect trio works together, please contact me or join my email list below. 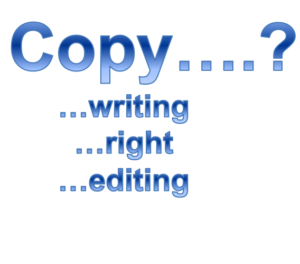 Commonly Confused “Copy” Words – What Do They All Mean? When I tell someone I am a copywriter, I get a variety of responses. Some ask me if I am an author, some ask me if I’m an editor, and some ask me if I can help them obtain legal protection for an original work they’ve created. Since I provide none of the above, there is obviously a lot of confusion about a language most professionals in the writing, editing and journalism worlds use and take for granted. I thought clarifying these terms was worthy of its very own blog post. So here is a list of “copy” words you may have heard, and their proper definitions. This will help to ensure you understand the service you are getting when you ask for it. Copywriting. Copywriting is a form of writing that encourages its reader to take a particular action. 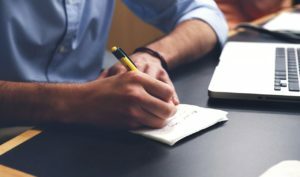 Commonly used in sales, business or for direct mail, copywriting has a purpose of engaging the reader, developing trust and persuading an outcome. Copywriting has a distinct call to action, usually at the end of the piece, which can be as simple as asking for an email address or as forward as asking to sell your product or service. Copywriting is a profession held by a copywriter (like me). This is protection for something you’ve created, and is not the function of a copywriter. The Attorney General’s Department administers copyright legislation. So although the word sounds the same and is only slightly spelled differently, it has an entirely different meaning than copywriting. Copyediting. Copyediting is checking over and reviewing a document after it has been written. Copyediting ensures that an author’s text has correct spelling, grammar, punctuation and style, and is done by a copyeditor. A copyeditor is concerned with the structure; he or she will read a work to be sure the order is logical, there is no redundancy, and that the words flow smoothly. Copyediting is not the job of writer, but instead is the job of an editor. Copy. When a copywriter refers to copy, a noun, he or she is referring to the words they write or the document they are creating for publication. It is the original creation, not a duplicate or “copy” of another work. Copy is just the words without the graphics, photos or layout. I hope this has cleared up the commonly confused “copy” words. If you have any additional questions or have another “copy” word not listed here, please feel free to contact me. https://line-by-line.us/wp-content/uploads/2017/08/copy-words.png 499 568 LaurieZinn http://line-by-line.us/wp-content/uploads/2017/03/logo.png LaurieZinn2017-08-26 12:06:192017-08-26 12:06:19Commonly Confused "Copy" Words - What Do They All Mean? The content we create for our businesses should provide knowledge, insights and resources to our audiences. And while we may know a lot about an extensive list of topics, none of us are experts at everything. To ensure our content offers the most value to our readers – with current, specific and reliable information – we may, on occasion, need to interview a knowledgeable source. A source is an expert or professional in the area you are writing about. A source could be someone who has practical, real world or personal experiences, has earned a degree or recognition in a certain area, has donated or contributed to a cause or business, or is simply an interesting, knowledgeable person that you feel could add valuable insights and thoughts to your content. Why Use a Source For Your Content? You could write a blog post or newsletter article in a question/answer format, with a short introduction and conclusion paragraph. Learn as much as you can about your source. Read his or her blog, study the website and follow what he or she is posting about on social media. Learn what he or she cares about and values. Make sure you thoroughly understand the goal and purpose of the content you’d like to create, and how the interview with your source will help you. Reach out to your possible source by phone, email or both. Explain who you are, why you are contacting him or her, and why you think he or she would make a great source for your article. Communicate your goals and purpose. If you have the opportunity to talk with your source in person or by phone, ask if it is okay if you record the interview. This will help you with verifying quotes. Be sure to take notes anyway, just in case technology or batteries fail you in the middle of your interview. Interviews can be nerve wracking for some. Put your source’s mind at ease by providing a list of questions you will ask beforehand, being relaxed and open, and making small talk before the interview questions begin. If your source prefers to be interviewed by email, provide a list of questions he or she can respond to at a convenient time. Communicate your deadline, but be sure you are giving your source plenty of time to respond to your questions. At the conclusion of the interview, thank your source for his or her time and insights. Confirm the spelling of his or her name, company name and the definitions of any specific industry terms used during your interview that your audience may not know or understand. Let your source know approximately when your content will be published, and be sure to send him or her a link to the published content. Provide links to your source’s website, blog, email or social media accounts in your content. Promote the content on your social media outlets as well. This will help your source get more traffic to his or her website. Sources can provide a new perspective and value to our content. Choose them wisely, be respectful of their time, and offer to return the favor. From your interview, your source has the opportunity to showcase his or her knowledge and experience. And you’ll benefit in the eyes of your readers for knowing and providing such a valuable resource. We all make mistakes, and sometimes mistakes happen when we write. Sometimes we write too quickly and details get overlooked. Sometimes we just don’t realize that something we’ve been doing is incorrect or could be done better. Either way, here are six common writing mistakes that most people make. Once you know what they are, they are easier to identify and correct. Mistake #1: Relying on Spellcheck. Spellcheck is a handy tool for catching the glaringly obvious mistakes, but it doesn’t catch the subtle differences between words like which and witch; loose and lose; desert and dessert. You’ll still need to self edit, and check for grammar mistakes, spelling errors, or words that were left out because you were thinking faster than you can type. Mistake #2: Writing to everyone. We can’t possibly create content that resonates with everyone. In order to be most effective with your writing, you need to have a target audience in mind. Who are your customers? Are they male? Female? What is their age? Income level? Geographic location? You will see the best results when your content is created for a specific group. Mistake #3: Writing too formally. If your target audience is a group of college professors, PhDs or medical doctors, there will be a formality to your writing. But if your target audience does not include this group of professionals, you probably want your content to be more relaxed. Know your target audience and what they will appreciate and respond to. Mistake #4: Writing too casually. While you don’t want your writing to be too stuffy, you also don’t want it to lack professionalism. It’s okay to be relaxed and fun, just be careful not to cross the line of being offensive, unprofessional or untrustworthy. Again, know who your target audience is, and write for them, but remember that everything you write is representing your business. Mistake #5: Writing about you, you, you. Ultimately we all want to promote our product and services, but writing about your company exclusively and nothing else is like talking to that person at a party that won’t stop telling you how great he is. Create content that is helpful, serves a purpose and is valuable to your customer. Once you build that trust, you can promote your product or service from time to time. Mistake #6: Writing without a purpose. Have you ever read a blog post or article and wondered, “What is the point of this article?” Perhaps the author went on and on, switched topics and left you unsure of what he or she wanted to accomplish. Your writing should have a purpose, and that purpose is a call to action. What do you want your reader to do or learn? What action would you like him or her to take? It doesn’t have to be slick and high pressure. Your call to action could be as simple as asking your reader to follow you on social media, sign up for your email list, or to fill out a form. So as you are writing, keep your target audience in mind and find that balance between formal and fun. Give them helpful, valuable content that has a purpose, invites them to take an action and is free from spelling and grammatical errors. And when you do that, you will be well on your way to developing a long, trusting relationship with your customers. In this age of digital marketing, it is increasingly important for businesses to be present online. You can do this is by creating an effective, comprehensive platform. A platform is simply the means you use to communicate your message. Your platform is your online presence, and can be combination of your social media profiles, your blog, your email marketing and your website. All of this works great together, as long as the foundation of your platform is one that you own. What is an Owned Platform? When you own your platform, it means you have complete control. You have purchased your domain name and have paid a small web hosting fee to build your own website on it. It means that you are not relying solely on the free opportunities – such as a Facebook profile, a Twitter account, or a blog from Blogger or WordPress.com. Just as you wouldn’t build a house on land you don’t own, you also shouldn’t build the foundation of your business on a platform owned by someone else. It gives you control. When you own your own platform, you can control what it looks like, the content that is published to it, and how you market it. Social media accounts or free blogs can give you an opportunity to do this, too, but you don’t own your account. They do. Which means they can make changes, place ads or delete your account without asking permission from you. It helps build your brand. When you have control, you can match your website to the rest of your marketing materials. Your website should be your hub. It is where all of your marketing efforts will lead your customers. So it should look as professional as it can be. It establishes you as an industry professional. Investment goes a long way. When you have taken the extra step to create your own website on a platform that you own, you are showing that you are a true professional. You are serious about your work, and you know that it is worth the investment of the time and money that it takes to back your business. It builds your SEO. You work hard to produce meaningful, helpful content. Why would you want to publish that content where someone else benefits from the web traffic generated by your work? Publishing content to your own website on a frequency, resulting in increased traffic to your site, will be looked upon favorably by Google. It allows you to grow your relationship with your customers. Building your own website opens the doors to many opportunities to engage with your visitors. You can add a sign-up form to download free content, which helps you build your email list. You can create a blog, and allow your audience to comment on what you write. You can also add social share icons to your pages, so your readers can share what you’ve written with their followers. Building your online presence on your own platform is worth the time and effort that you put into it. Once you do, you can effectively showcase your professionalism, reap the SEO benefits of your work, and position your brand for future sales. Writing doesn’t come easy to many people. Especially when it involves creating content for your business. It can be a task you procrastinate, or something you want to sit down and do as quickly as possible just to get it done. But rushing through your work doesn’t usually produce quality results, and procrastinating doesn’t produce results at all. If you take a few minutes to organize and plan what you want to write before you dive in, the words will come easier. You’ll identify where you need more information, and you’ll be able to think of the details that support your point. We learned in English class how to organize an essay. You start with the main idea, have your supporting details, and close with a summary paragraph. Writing for your business follows the same process, but with a professional angle and a call to action. How you organize may differ slightly depending on the type of content you are creating for your business, such as a blog article, a newsletter article, or a sales letter. But no matter what you are writing, taking the time to organize your thoughts before your write will save you time and frustration. Identify the topic you are going to write about. It’s usually best to choose one idea per article, so you don’t confuse your reader or seem to be writing without a point. If you are writing about a new product, focus on its features and how it can help your customers. If you are writing a blog about how to use a particular product, give specific directions. Keep your writing focused. Write a headline. This is the summary title that will entice your audience to read your article. It identifies what your article is about, so be sure your content gives the reader what your headline promised. Break up your content with subheads. Subheads are mini headlines that give more details about your main idea, much like your supporting paragraphs did in your English essay. So if you are an auto manufacturer that just released a new car, your subheads might be about the engine, the interior, and the safety features. Ask for action. Your closing paragraph should summarize your article, and ask your reader for something. You might want to ask them to contact you for more information, click on a fact sheet that provides more details, or to buy your product or service. Writing for your business is similar to story telling. You are giving your audience a step-by-step account of what happened, how something works, or how to solve a problem. If you take some time before you write to organize your thoughts, it will make creating content for your business a more satisfying and productive task. Want to learn more about writing for your business? Join my email list. Are you a business owner that is consistently creating engaging content for your business? Or are you a business owner that WANTS to consistently create engaging content for your business, but you just don’t know where to start? If you fall into the first category, you’ve got it figured out. Great job! But if you fall into the second category, don’t feel bad. Most people recognize the important role content plays in their business, but creating it gets placed on the back burner. Sometimes it’s because they are busy dealing with other aspects of their business, and sometimes it’s because they don’t know where to start. So keep reading, because I’m going to provide you with some information that will help you get it done. Here’s where to start: It’s with the needs of your target audience. Last year, I earned an inbound marketing certification through HubSpot. As I made my way through the certification modules, one thing I learned about was the concept of your customers’ buyer’s journey. 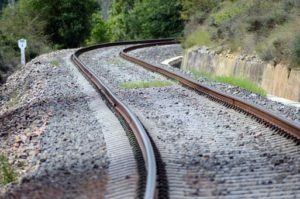 HubSpot describes the buyer’s journey as the process an individual goes through before purchasing a product or service. I’m sure you can recall many examples of your own buyer’s journeys. I remember buying my first car, and how long I researched and test drove vehicles before making a decision. And most recently, I decided that I needed to push my fitness goals, and wanted to use an app to help me make the most out of running. For both purchases, one being a big purchase and the other not so much, I went through a decision-making process. Although I really didn’t think about it as a “buyer’s journey” at the time, that’s exactly what it was. The buyer’s journey is defined in three stages: the awareness stage, the consideration stage, and the decision stage. In the awareness stage, your audience is just figuring out that they have a need or a problem, and they are in research mode. When I decided I needed to step it up and get in better shape, I researched the best way to get fit and the benefits of running. I’ve been an off and on runner for years, and I’m not consistent because it’s not my favorite form of exercise. I started my research by learning about the benefits of running, the results I could expect from it, and the success other women my age had with it. At this point in my research, I was just gathering information. I didn’t want to be hit over the head with a complicated case study or an expert guide to try to convince me to run. I also didn’t want to be overwhelmed, oversold, or forced specific literature about a particular running app. Like me, your audience in the awareness stage is just starting to research more about their problem or need. Your content at this point should be educational and yes, unspecific to your product or service. You may want to write an informative blog about your industry, or tell a story about different options to solving your audience’s problem. You could also write a general e-book that contains facts, figures or statistics of your industry that would give them the information they are looking for. In the consideration stage, your audience’s problems are more clearly defined, and they are trying to learn more about them. For me, I decided a running app was the way to go, but I was still learning which ones were available. I read about the features each offered to determine what would work best for me. I wanted something that would motivate and push me. But my goal was to improve my endurance and be healthier, not train for a marathon. This helped to narrow down the choices available. When your audience hits the consideration stage, they are also interested in gathering information in order to solve their problem. They’ve identified they have a need, and now they are researching to figure out the best route to satisfying it. Your content for this stage can be a little more specific, and could include expert guides, videos, podcasts or in depth white papers. When your audience reaches the decision stage, they are choosing among solutions or providers in order to solve their problem. Once I had narrowed my choices to a few running apps, I read reviews and took note of special offers. I learned the pros and cons, the positives and negatives, and the reported outcomes. I also looked at price. At this stage, your audience is looking for what you have to offer. This is where writing detailed product reviews or offering sales or free trials could be effective. It’s okay to “sell” here, because the customers know what they need and are trying to make a decision. And your product or service may be a perfect fit. So after much research, I made my decision. I took advantage of a free version of a running app that I could upgrade later if I liked it. When I downloaded the free version, I was also offered a 7-day free trial of the upgrade, with no obligation to buy if it didn’t end up being what I was looking for. I’ve been happy with my selection so far. After I’ve had a chance to use the free version, I’m open to accessing additional features by purchasing the upgrade. The key to crafting engaging content for your audience is to create it for each stage of the buyer’s journey. Then you can deliver it when your audience needs it the most. No one likes to be “sold” to, and that includes me. Nothing turns me off more than when someone launches into their sales pitch before understanding what I’m looking for, or if I even have a need for their product or service. I’ll shut down even if their product is the best invention ever and is exactly what I need. The best part about creating content for the buyer’s journey is that you don’t have to be that annoying sales person. Instead, you are in the business of educating. You’re providing information that meets them at whatever stage of the process they are in. You become the hero, instead of that pushy sales person everyone runs from. You are giving your audience the content they need, when they need it. So when you are trying to figure out what type of content to write for your business, think of your target audience’s buyer’s journey. Brainstorm the types of content your audience will be looking for at each stage. Then place your ideas on an editorial calendar, and make a plan to get it done. And if you need help, you can always contact me.